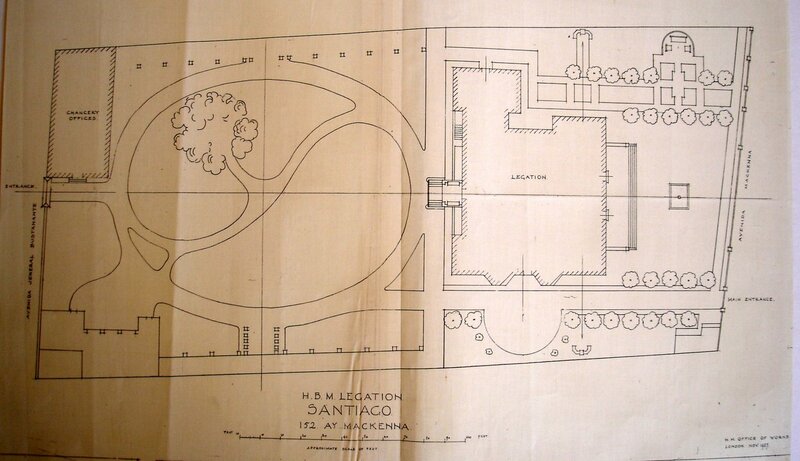 Cecil Simpson, a senior architect in the Office of Works, was tasked to find a new legation building at Santiago during his 1924 tour of South American Posts. He could find nothing suitable to buy or lease, so he had to fall back on looking for a site to buy and build upon. The best he could find was three contiguous properties at 216-236 Avenue Vicuna Mackenna, comprising in all about 0.5 hectare, being used at the time as sawmill, timber storage yard and wheelwright’s cottage. With the support of the minister, Grant Duff, he bought this site for £12,800, and immediately sought covering authority from London, which was forthcoming. Simpson judged that this location, though not ideal, was not too far from the business district also to house the chancery and commercial secretary’s office. There was some urgency because the lease on the present house in Calle Claras would expire in May 1925. An Office of Works architect, Thrift Reavell, worked on sketch plans in London and these were presented to the Foreign Office in September 1924. By then, Duffs’ nominated successor, Thomas Hohler, was making his disobliging views known in letters from his manor house in Kent. He had served in Mexico, much of the time as chargé, and suggested that the English architect there, Mr Johnson, who had been involved with the Mexico City residence, should prepare the drawings for Santiago rather than the Office of Works. 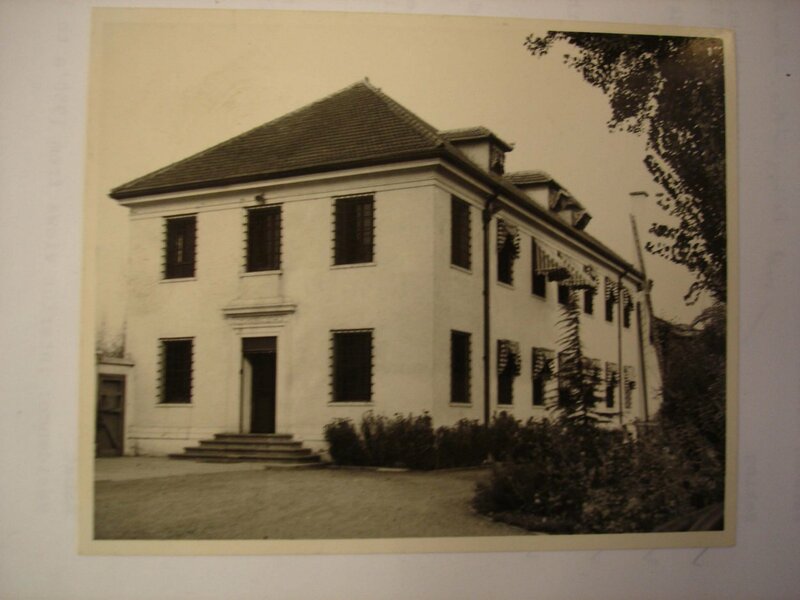 Out of the blue, in April 1925, Hohler reported from Santiago that he had leased what he called the Ariztia house, being the landlord’s name, at 1642 Avenida de las Delicias for 18 months and recommended that negotiations start for its purchase. He pleaded not to build anew on the acquired sawmill site, which he was sure could be sold at a profit. The Office of Works was content for pressure to be taken off their design work and waited to see plans of the Ariztia house, which Cloux could inspect on his next visit. Meanwhile, Hohler was embarked on a serious lobbying campaign in the wake of a visit to South America by the Prince of Wales. Cloux reported inconclusively and the Secretary of the Office of Works, Lionel Earle, decided that the best way forward was to continue leasing the Ariztia house and stalling on the sawmill site. 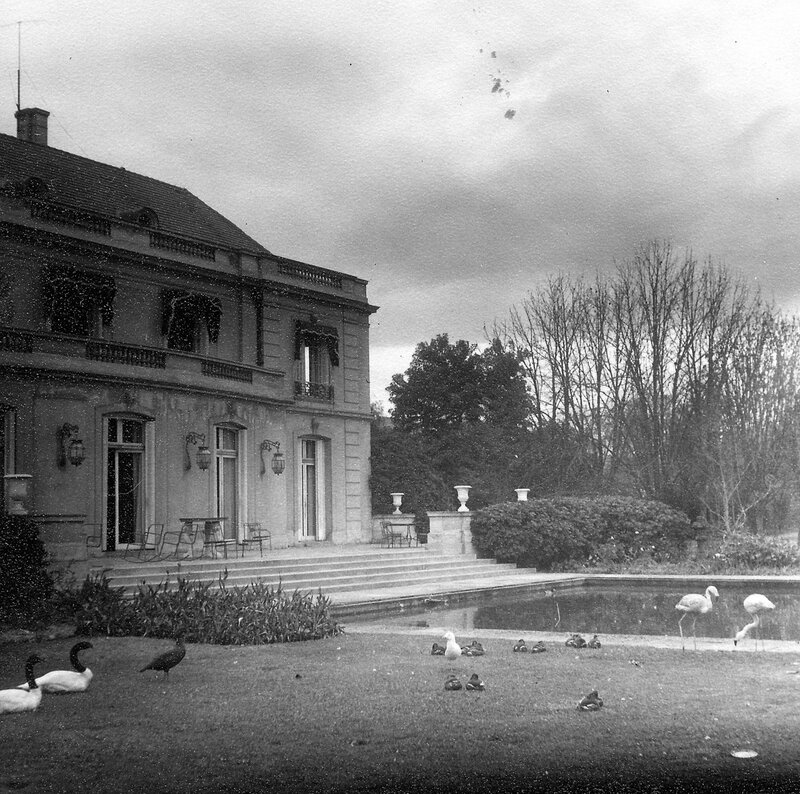 Suddenly, Hohler then found what he thought was an even better house to buy: it belonged to Baroness Schroeders and was referred to as the Arturo Cousiño house. Even the FCO chief clerk commented that it looked appalling, which made it all the easier for the Office of Works to turn down. In April 1927, Hohler told the Permanent Under-Secretary, Sir Robert Vansittart, that he would have nothing more to do with residence issues and would see out his time in Santiago by extending the lease on the Ariztia house. 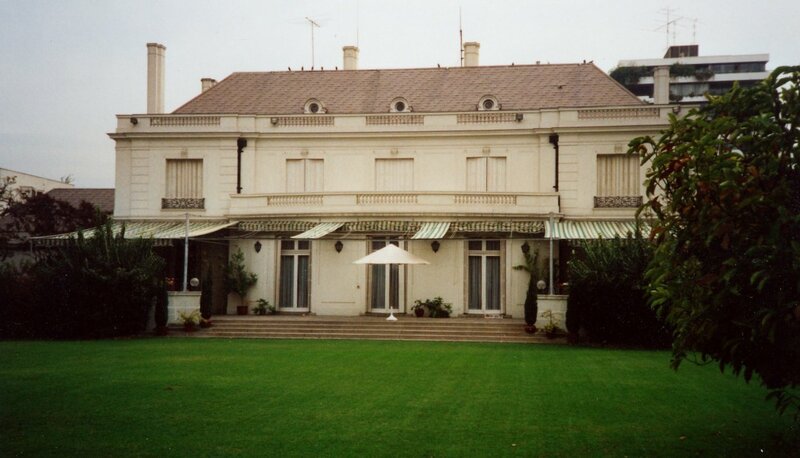 Hohler’s number two, Oswald Arthur Scott, effectively took over the case and invited London’s consideration first of a house at 75 Calle Riquelme and later at 152 Avenue Vicuna Mackenna, and sent the plans to London. 152 Mackenna looked quite promising and Earle extracted from the chief clerk an undertaking that the Foreign Office would accept it if the Office of Works found in its favour. Which it did, and the sawmill site on the same street was part exchanged for it in 1928, soon after the arrival of Hohler’s successor, Archibald Clark Kerr. 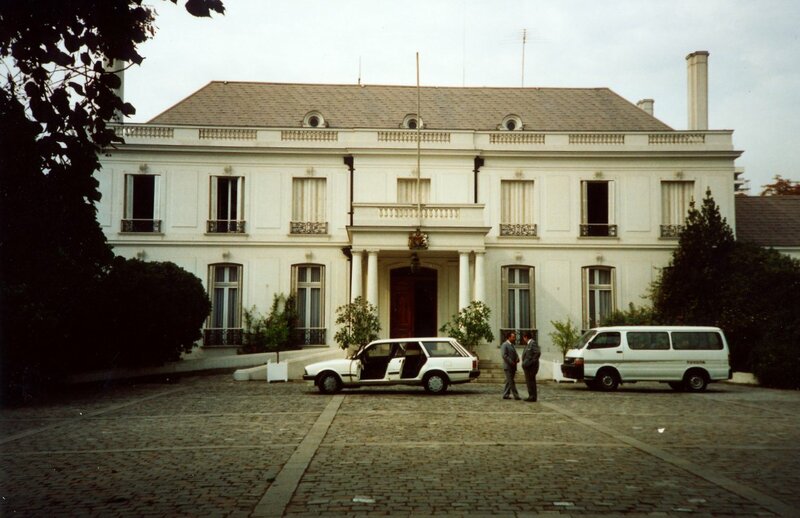 Adaptations to the house, which was built in 1911, and the construction of a two-storey chancery building at the bottom of the garden, which gave on to Avenida General Bustamente, were completed in 1930 (also the year in which the Post’s status changed from legation to embassy). 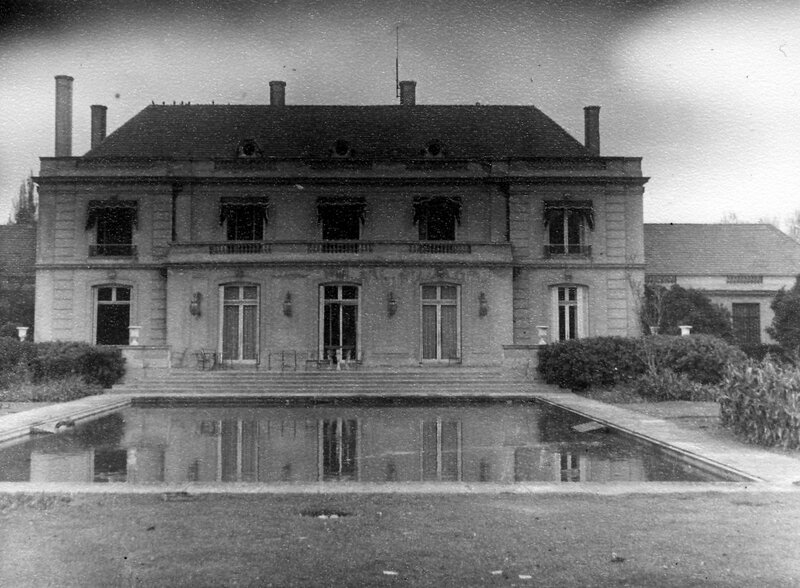 Another office building was put up in the garden in 1942. Viscount Davidson in 1943 recommended that the offices should move into the centre of the city. This they did in the late 1940s and the two buildings thus vacated were converted into flats in 1951. By the early 1960s, and especially as a result of impinging roads and the noise from a run-down boys’ school next door, 152 Mackenna was becoming unsuitable. In 1965, a potentially better residence at 96 Gertrudis Echenique, in the Las Condes district, came into view. It was built in 1939, of brick with stucco render and a slate roof, and had fallen into poor condition, accelerated by a recent earthquake; it sat agreeably in a 0.8 hectare site. It was bought from four members of the Sanchez family, who also owned adjacent sites, in 1966 for £90,000 and extensive upgrading and adaptations works were completed the following year, costing another £30,000. A large square ornamental pool in the garden was filled in to become a lawn. This acquisition enabled 152 Avenue Vicuna Mackenna to be sold in 1968. 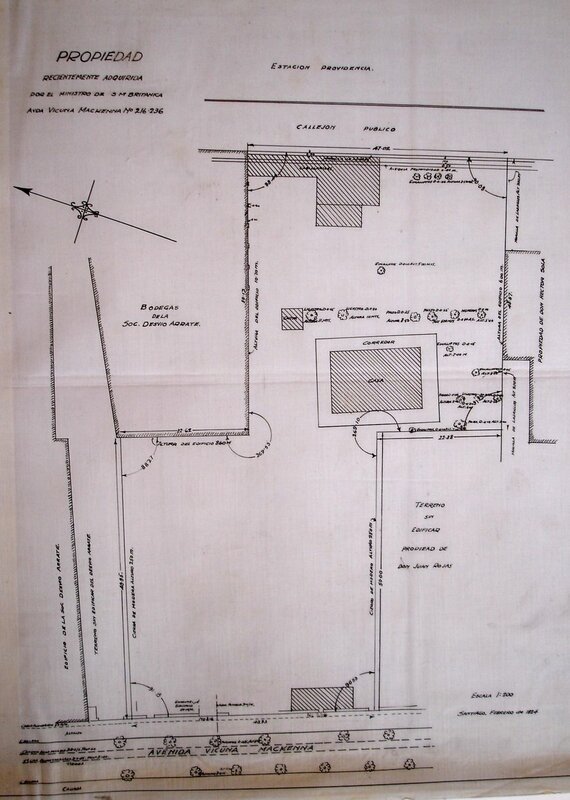 An adjoining corner plot, 94 Avenue Gertrudis Echenique , of about 0.3 hectare, known as the Sanchez site, was purchased in 1972 for £17,000, with a view to building new offices on it. There were varied proposals throughout the 1980s for making best use of combining the two sites, including an offer in April 1989 for them both from the Bond Corporation for US$4.25m, plus all legal costs, for its future use as a corporate HQ, visitors’ accommodation and company entertaining. The FCO turned it down as insufficiently reliable (and the Corporation went bankrupt a few years later) and instead sold the Sanchez site by itself later in 1989 for about £2 million. The offices moved in 1951 from the small buildings in the residence garden at 152 Mackenna to space on the 3rd floor of the Bank of London and South America building, at Calle Augustines 1055. In 1974, they moved again to the ground and top two floors of a five storey building constructed and purchased in 1974, Edificio La Concepcion, 177 La Concepcion Avenue (formerly the CCT building). And in 1991 they moved into three purchased floors of a new office block in an emerging commercial area at Avenida El Bosque Norte 0125. The Edificio La Concepcion was sold in 1992 for about £400,000. Siteplan of purchased 216-236 Avenue Vicuna Mackenna, 1924. Siteplan of 152 Avenue Vicuna Mackenna, showing intended furure chancery building in garden, 1927. Former chancery, later staff flats, building at 152 Avenue Vicuna Mackenna, c.1960. Front view of 96 Gertrudis Echenique, 1965. Garden view of 96 Gertrudis Echenique, 1965.